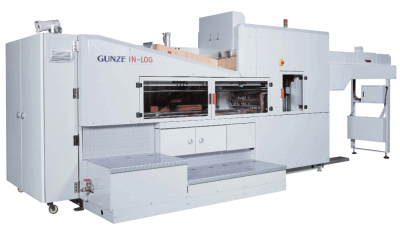 The Gunze LS-1120 Automated Horizontal Stacker Bundler sets a new standard for postpress process automation. Developed by the undisputed market leader in the highly-automated Japanese printing marketplace, the Gunze LS-1120 enables printers to fully realize the manning reductions and productivity improvements promised by smart automation. Going beyond merely automating function, such as end-board insertion, bundle separation, compression, and strapping, this machine provides full control of accurate bundle count, automatic setup of previously run jobs from the on-board job selection database, and fully integrated auto-reject functions tied to press operations, such as blanket washers and splicers. Gone are the days of 30-minute make-readies that required the skill and special knowledge of long-time machine operators. And operating cycle speeds are the fastest in the industry, with capabilities down to 23-second cycles. Bundles from 24 inches (610 mm) to 48 inches (1,220 mm) can be produced. 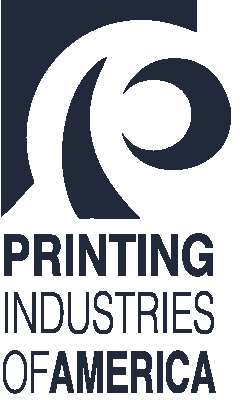 This system will benefit short run or high volume printers. To further realize the full benefits of automation, the Gunze LS-1120 comes equipped with on-board troubleshooting and diagnostics, including rigorous decision-tree troubleshooting guides, so that any downtime is minimized. The integrated maintenance schedules and maintenance logging help to assure maximum uptime, as well. Of course, the heart of the stacker bundler is its ability to produces high quality bundles. In this department, the Gunze LS-1120 is second to none. The process flow of this machine accepts spine-leading signatures, presses and conditions them, counts with a laser sensor, and creates the gap in the signature stream with a unique gap-smoothing mechanism. Product is stacked with the spine down, so any laps are totally protected. The Gunze LS-1120 includes mechanisms to form the signatures, as they enter the stack, so even lightweight books can be uniformly controlled, such that the backbones are well aligned on the stacking belts. Once the signature is in place, the speed control on the stacking belts maintains the uniform packing density to assure high quality signature alignment from the first to the last signature. Every set-up adjustment can be memorized for future job pre-sets. The automatic end-board hopper holds approximately 62 inches (1,600 mm) and is easily loaded. The strapping head access and strap reel location is also conveniently placed so it is easy to access during the strapping cycle.